How to add subtitles to video ? The following guide will show you how add subtitle to any video formats, such as AVI, MP4, WMV, FLV, MKV, MPEG, H264 and more with this best adding subtitle software. 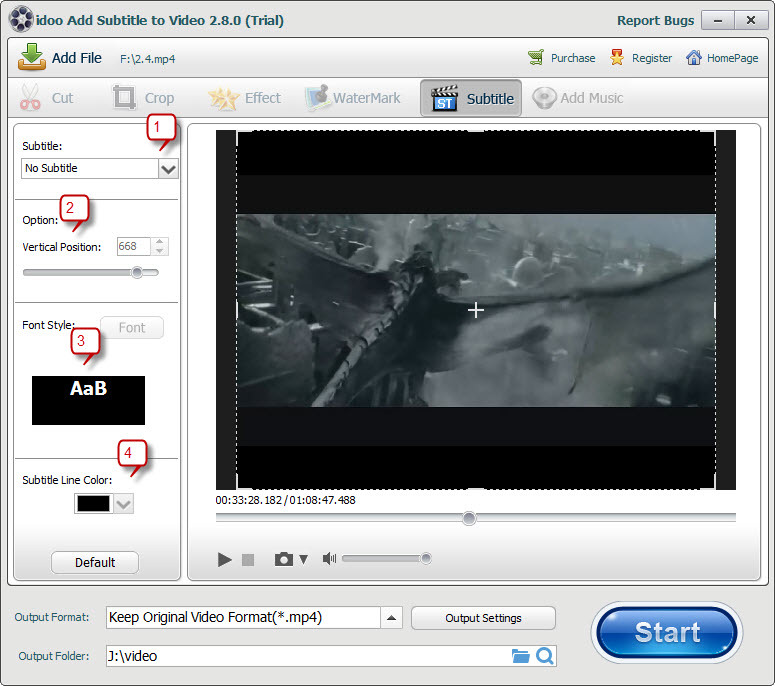 After you adding video to program to add subtitle, you will see following program interface. 1. Load a external subtitle if your video has no subtitle. 2. Adjust the position of subtitle in the video. 3. Change the font style, if you don’t like the default one. 4. Change the subtitle color to blue, white, purple and more.